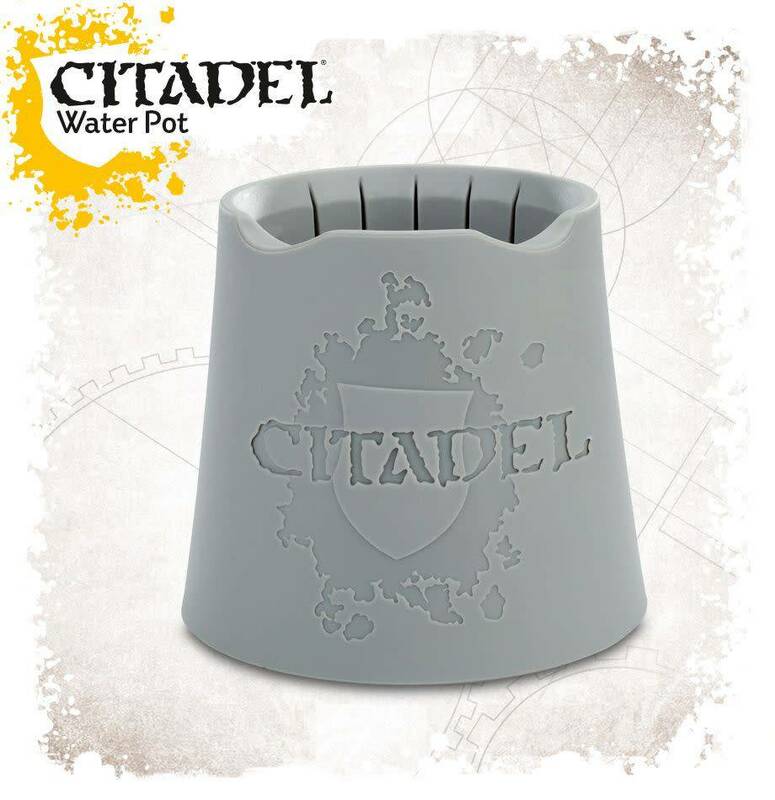 More than just a container holding water, the Citadel Water Pot has been designed by painters, for painters. Constructed from durable grey plastic, the base and inner side walls of the water pot have ribbed sections, whose textures have been chosen to clean brushes in the most effective manner. A canal at the top allows you to store bushes horizontally when not in use, and the sides feature tapered grooves – once you’ve cleaned your brush in the water, draw the bristles up through these grooves to restore a nice, fine point! 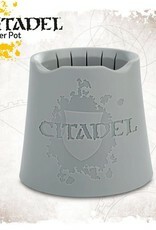 The water pot is 100mm wide at its base, and 90mm tall.